This replica edition of the K3 SV comes in the hugely popular Misano 2015 graphic design used by the legendary Valentino Rossi. 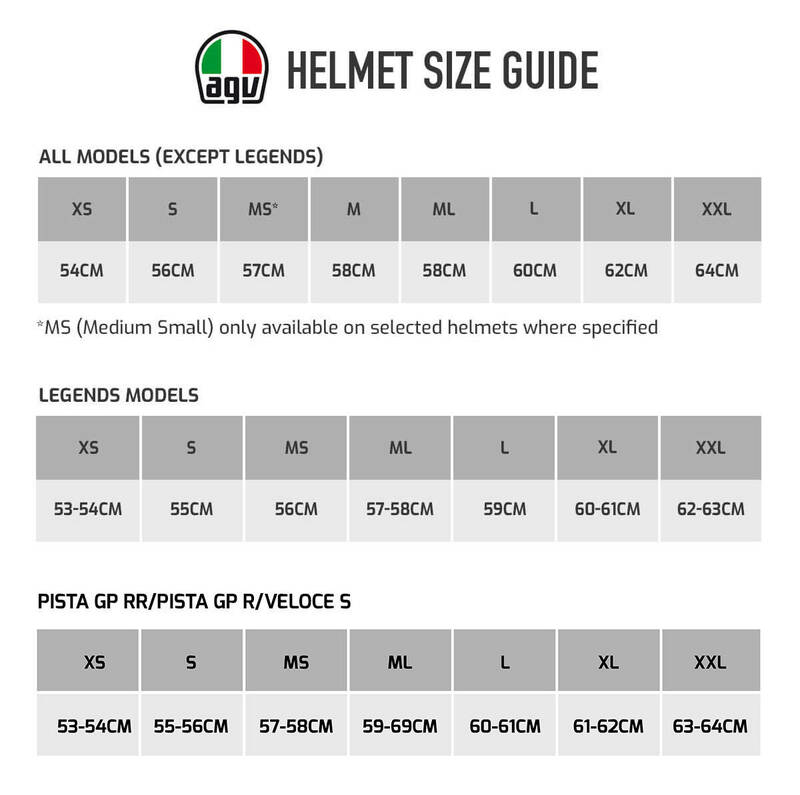 The AGV K3 SV helmet was developed with experience gained for the design process of the Pista GP and Corsa helmets. With the use of Finite Element Analysis (FEM), AGV's technical department have made a benchmark product in terms of comfort, aerodynamics and safety. The K3 SV offers great racing looks whilst the comfort and high performance appeals to the more mature riders. The K3 SV has been made from HIR-TH (high resistant thermoplastic) resin shell construction. Possibly one of the most pleasing to the eye, it's aggressive styling with deep chinbar and top vents make it instantly stand out from the crowd. Inside, the K3 SV uses multi density E.P.S inner shell and AGV's fully removable, washable Dri-Comfort lining with sanitized antibacterial hygienic treatment. Maximizing airflow with CFD analysis (Computational fluid dynamics,) with two front and side vents, one central vent and two extractors at the back of the helmet. The mechanism for opening and closing the visor has three customisable settings according to helmet use (Touring, Race and City) and features the XQRS system for quick removal.